Sometimes, we find new information about old ideas, especially for antique jewelry. The 1854 patent below, shows an improvement to the "kidney" wire in common use at the time (show at the bottom of the patent). 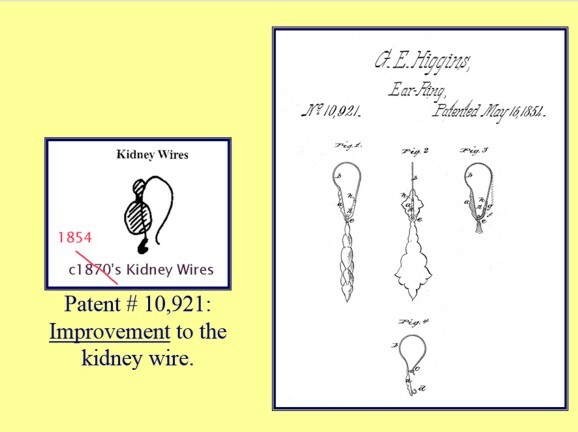 Until this patent was re-discovered, many collectors incorrectly believed that the kidney wire only dated back to the 1870's. 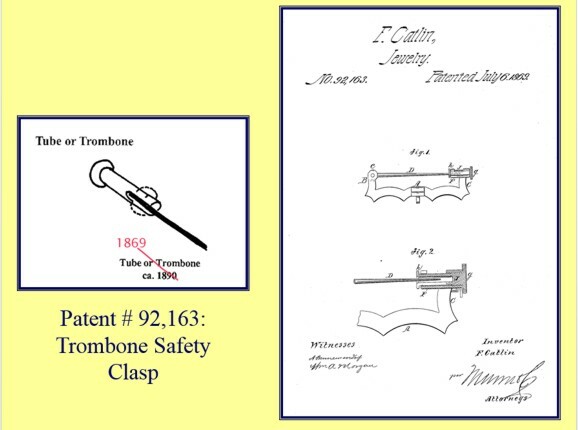 Until this patent was re-discovered, many collectors mistakenly believed that the "trombone" safety clasp for brooches only dated back to circa 1890. These tips for fittings and findings in antique jewelry are excerpts from Ms. Cinamon's book Estate Jewelry, 1760 to 1960, published by Schiffer Books, Ltd.